Water is the drink of choice in our household. We use a filter which means our family enjoys lovely water straight from the tap. If I’m craving something different, I like to carbonate the water. I’ve used a SodaStream for many years now, and it makes drinking water fun because you can flavour it however you like to individual tastes. The kids love it too, and I can control the flavours and sugar content in the drink which is important to me. 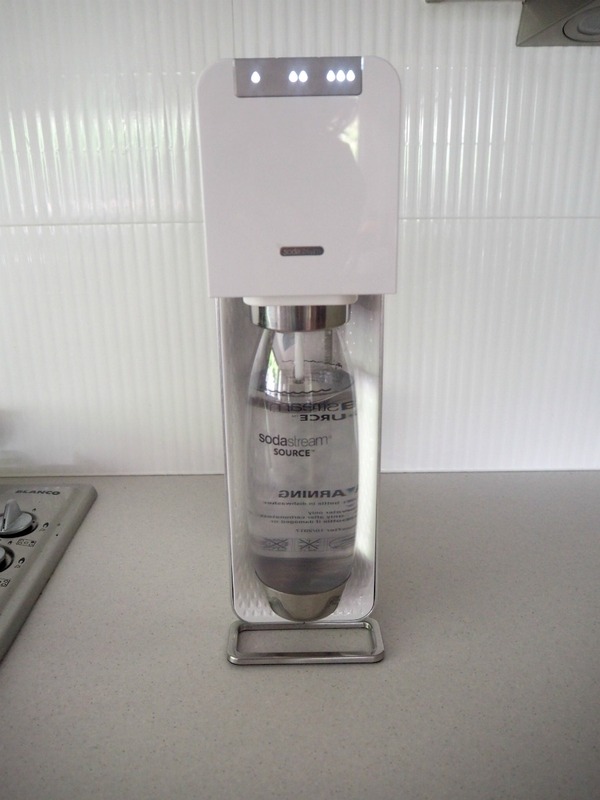 Pictured below is the new SodaStream Power; its sleek and modern design allows the machine to fit nicely on our kitchen bench and it’s easy to turn tap water into sparkling water with the press of a button. Each SodaStream comes with a reusable BPA Free bottle that lasts three years. 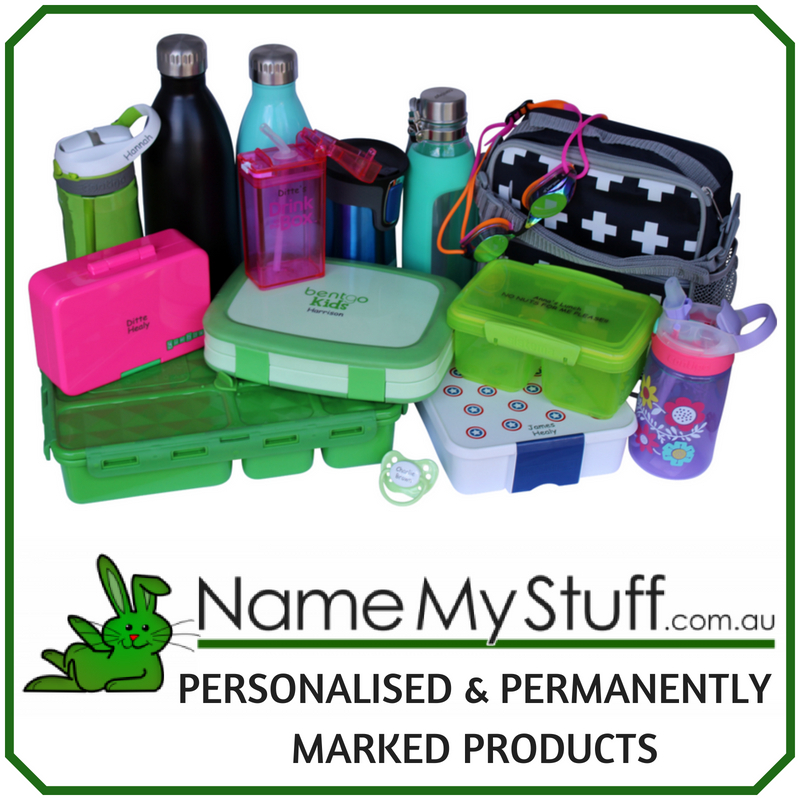 The average Australian family uses over 2,000 bottles and cans over a three-year period, and this can be minimised by making drinks at home, saving both money and environmental impacts. I also appreciate how SodaStream have thought about the refillable gas cylinders (which creates the bubbles) and offer an easy exchange process at various retailers around Australia at a discounted price. It’s similar to the exchange process of LPG gas cylinders for the BBQ. 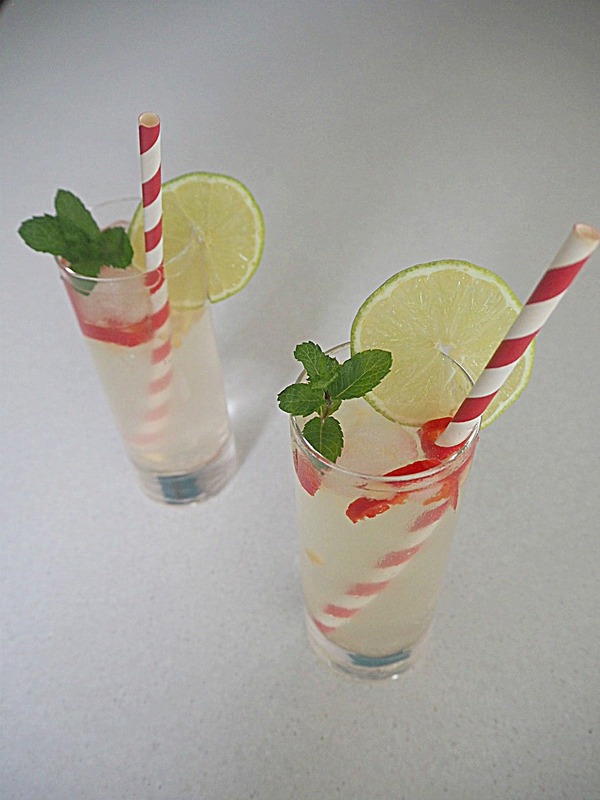 Create a mocktail menu for a Family Fun Night and the kids can ‘order’ what they like. Experiment with cocktail recipes for adults. Add lemon and a sprig of mint to a drink bottle. This is great for the gym. If you struggle to drink enough water during the day, have a bottle of sparkling water ready in the fridge. It’s enjoyable to drink so you tend to drink more. 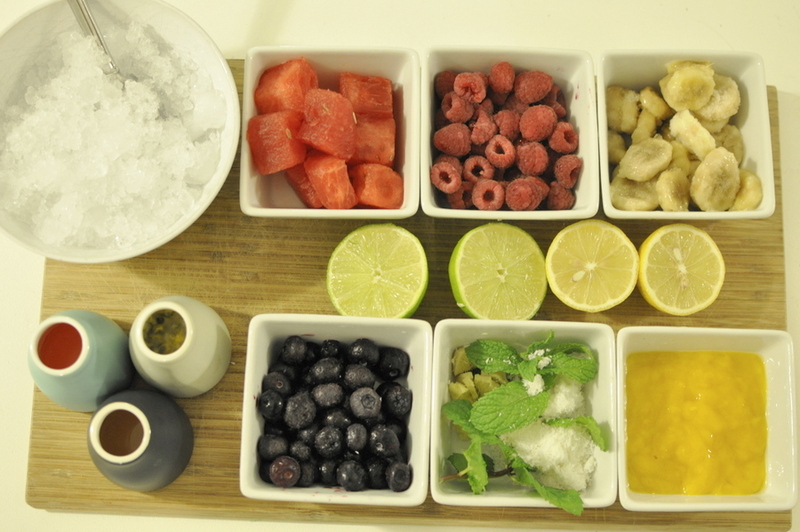 Set up with a variety of different ingredients and kids can create their own special drink. 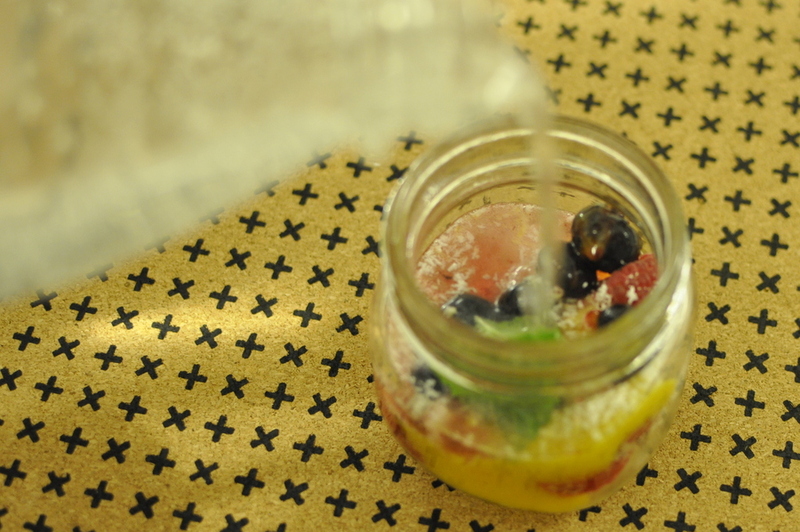 Simply add ingredients desired to a glass, add sparkling water and mix! This is inspired by a Halo-halo (which mean mix-mix) drink Kelly enjoyed in the Philippines and you can read more about it here. I’ll share two of my recent recipe creations if you want somewhere to start; part of the fun of having a SodaStream is experimenting yourself and coming up with new combinations the family loves. 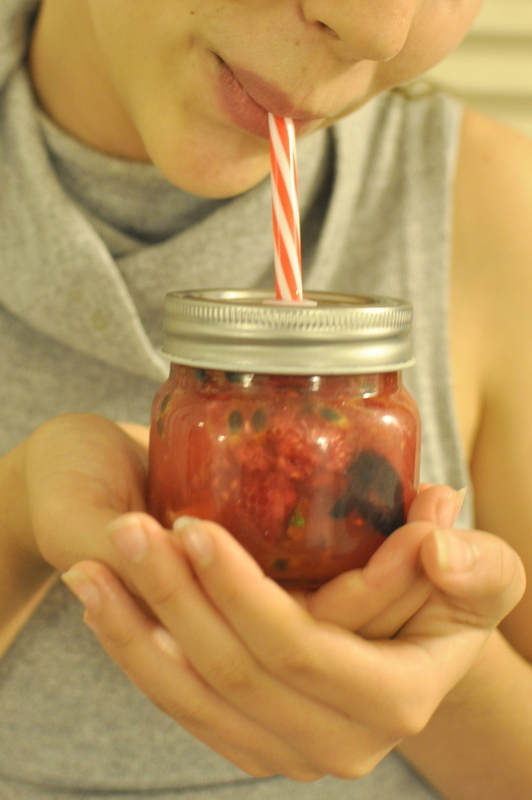 The first recipe is a hydrating lime and raspberry sparkling water which looks oh-so-festive and fun. My girls love this drink because the mix of lime and raspberries creates a sweet citrus flavour and there’s no added sugar in this mix. Carbonate chilled still water using the SodaStream Sparking Water Maker. Squeeze the juice from 3 limes. Add the juice to 1 Bottle of SodaStream Sparkling Water. Prepare glasses and add ice and 4-5 raspberries. 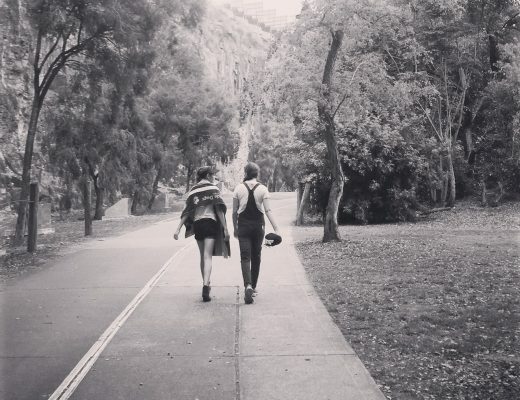 It’s ok if they break apart. Pour the lime infused SodaStream Sparkling water over the ice and raspberries. Add more raspberries for a garnish. Note: You can also serve this drink in a jug. 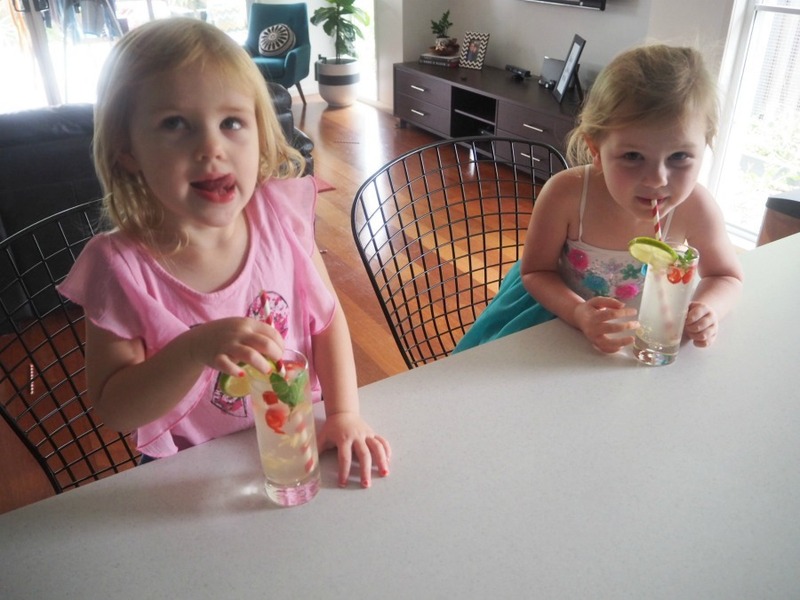 My second recipe is a mocktail that is better suited to adult tastes, but my girls didn’t mind taking a sip. This drink has a hint of heat which adds to the flavour. Make sure all seeds are removed from the chilies before placing them in the water. It’s a great drink to serve during the colder autumn and winter months. Carbonate chilled still water using a SodaStream Sparkling Water maker. 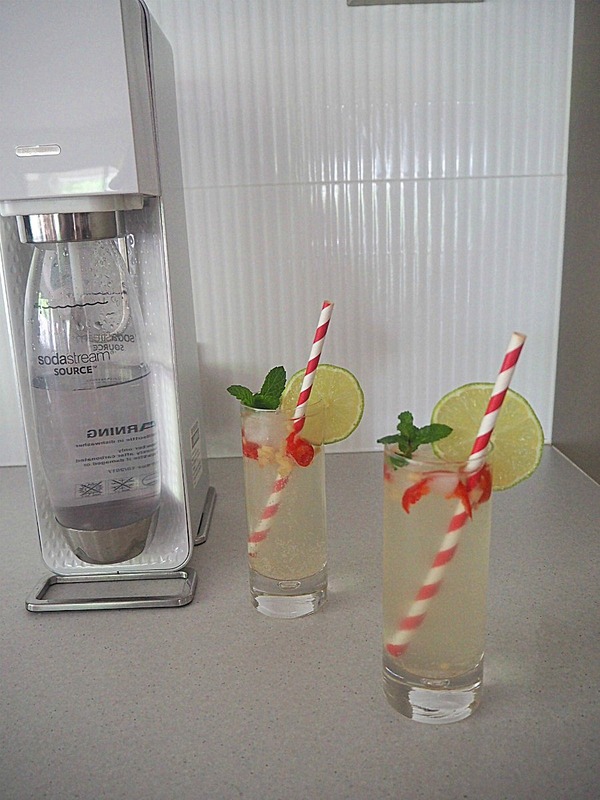 Add ginger cordial, fresh ginger, chilli and mint to bottle of SodaStream Sparkling Water. Place in the fridge to chill for 2 hours so the flavours can infuse. When ready to serve, add ice to the glasses. Squeeze half a lime to the infused soda water as this will bring out the extra flavours. Pour the infused soda water over the ice and garnish with lime and mint. Creating naturally flavoured sparkling water at home makes entertaining a breeze and gives our family a healthy drink, that doesn’t make us feel like we’re missing out. If your family would enjoy a SodaStream too, enter the giveaway; more details below. 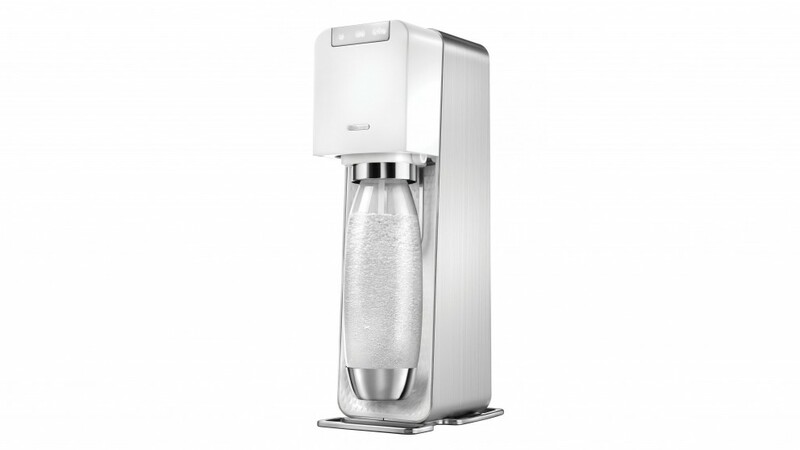 SodaStream is offering one Be a Fun Mum family a Sparkling Water Maker worth $249. All you need to do to enter is write in the comments below what flavour you would add to your sparkling water. To enter, comment on this post answering the question. 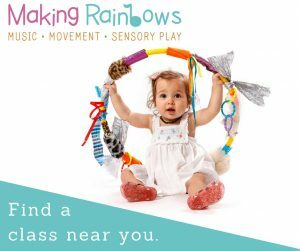 Entries close Wednesday, April 19, 2017 at 11:59pm Australian EST. One winner will each receive a SodaStream machine valued at approximately $249. The winner will be contacted by email and announced on this post when confirmed. The winner agrees to have their contact details passed on to the appropriate agency or brand representative to organise the prize postage. I’d make a lemon, basil and mint combination to detox my body from all of those summer holiday wines! It would be delicious and my body would appreciate it. I’d love to savor a magic mango coconut mix, it sounds and smells like an escape to a tropical island! Our lime tree is producing a lot of fruit at the moment so I’d make something with those. I might even add the Your Inspiration At Home mojito aromatic sugar that I’ve got and never known what to use it in! Citrus Bomb of flavour, making and maxing the most out of our lemon, lime, orange, mandarin and grapefruit tree’s that seem to be permanently laden with fruit. And the neighbours mint is growing up and under our side of the fence, maybe I’ll add a bit of that in too. Ginger, lemon and mint because I want a rainbow of colours and a full spectrum of experiences. Ginger, for the kick, lemon for the zing, mint for the taste. Definitely Lemon – we have a bountiful Lemon tree, plus the Vitamin C is so good for you. I’d use your Lime and Raspberry refresher recipe and substitute the Lime for Lemon and use our own home grown raspberries too! I would add lemon and lime for a yummy, citrus flavor, with a bit of mint chucked in. Delicious! I’d love to bring the exquisite aromas and flavours of italy into my world. So it’s Tomato and Basil Sparkling Water I’d first make with a Sodastream! Or Eat Well, Laugh Often, Love Much and let’s add Drink Water, Amazing Water! I’d love to make a Mango and Mint, it’d have that tropical taste that’s really refreshing! Pomegranate juice, lime and mint – it’s delicious on it’s own but that fizz will just pep it right up! Lemon Myrtle (a delectable Australian Native) & Ginger, would be divine. 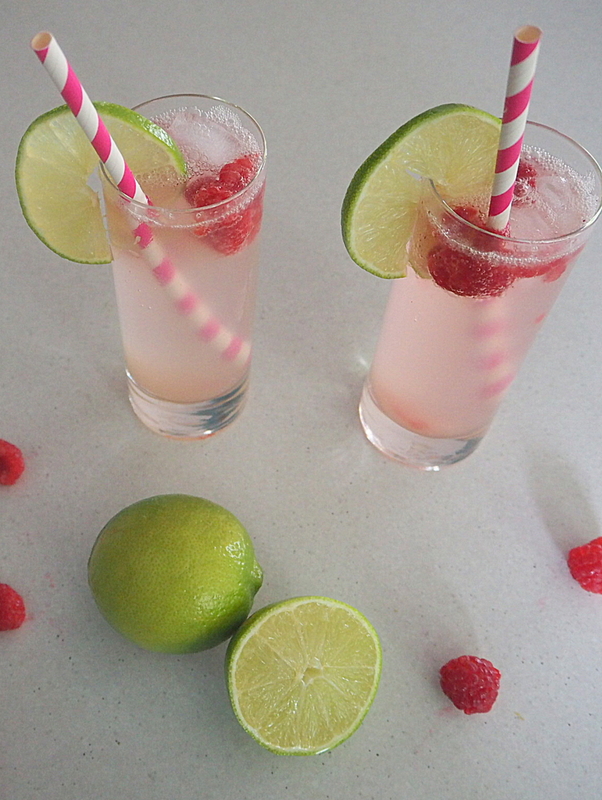 The lime and raspberry sounds divine! But I think my lot would add passionfruit flavouring as we are all mad for it at the moment! Fusion of tropical mixed berries and peach -fruit explosion bursting with sweet and refreshing fruity flavours sending rhythms to my heart, it’s colour to my mind. Some lemon and mint would go great for a refreshing afternoon drink! We keep it super simple here and just add a slice of orange! I’d go tart and tangy with orange and mango. Oranges literally grow on trees around here and the mango would remind me that winter does not last forever. A tasty drink packed full of Vitamin C. Did I mention winter? 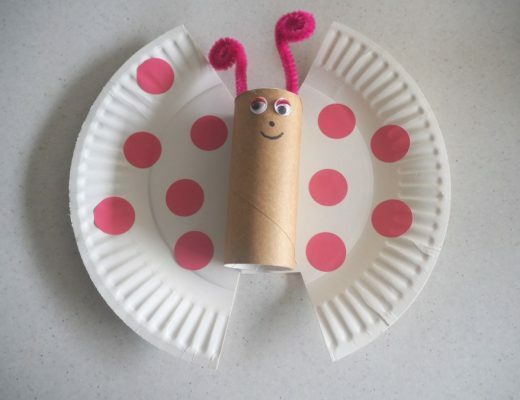 I’m inspired by all of your ideas. I would make a Soda Stream mixer with fresh apple and ginger slices with raspberries. Oh my, I think I’d love that! Definately mint and juice of a lime and juice of half a lemon. Yummy! Lemon, orange and a huge sprinkling of love!! I love your idea of having a platter of lots of different fruits on it so family and guests can make their own unique and exciting brews, then share recipes. These are all of our favourite fruits combined. I guess we would call our families sparkling water flizz our Berry-Cherry Bliss!